UPDATED with workaround if “new” prefix is still required. Just don’t name methods that create java object instances with prefixes listed above. Prefix create works like a charm. Already updated framework template. after assigning it call release to the object to release intermediate result, retainCount == 1 at this moment. From ARC perspective it absolutely valid case as it consider object to be owned by code (not externally). on each native release() it checks retainCount() and if it goes to 1 it removes object’s reference from RoboVM set of objects (now it is subject for GC). Once retainCount() is 1 it means that there is no object at Native side keeping reference to it and only Java counterpart is retaining it. And once Java counterpart is GC-ed it also release() the native part causing it destruction. 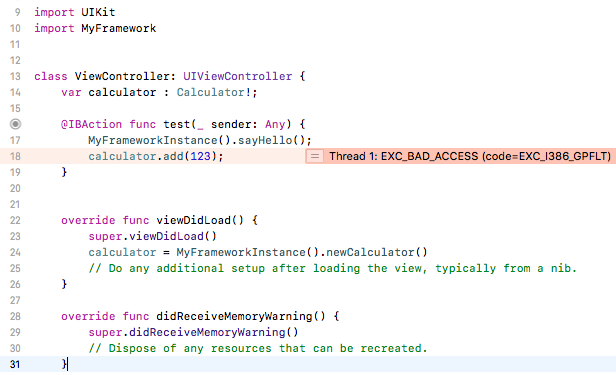 It will return object with retainCount() set to 2 which will not lead to EXC_BAD_ACCESS. And object will be released once java counterpart is released. In this bright example ARC considers that code owns the object and retained it. RoboVM saw retain count decreased to 1 and considers that it not needed anymore and destroyed it GC cycle. Object returned by a method whose name begins with “alloc”, “new”, “copy”, or “mutableCopy” (for example, alloc, newObject, or mutableCopy) will not be maintained by ARC. RoboVM developer shall consider this fact.